By happy coincidence, Shawn encountered one of his former co-workers, John, at this year's Taiwan Designers' Week. It was cool, because they both discovered that in the past they were in the same field, and they were still in the same field (although different for the both of them)! 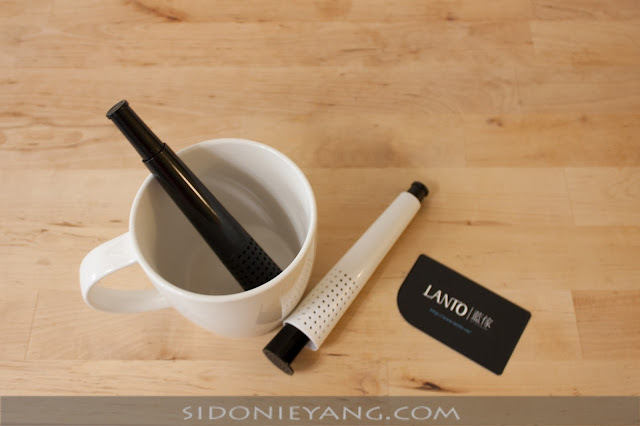 John Lan is a designer for his brand, "Lanto by John Lan", and the one who designed this awesome tea infusion device. It looks like a kaleidoscope, but is used during tea time, thus, "Tealeidoscope". John's father is the owner of the Taiwan-based plastics factory that manufactures his designs, which means that he is proudly carrying on the family business and bringing it into the modern era at the same time. 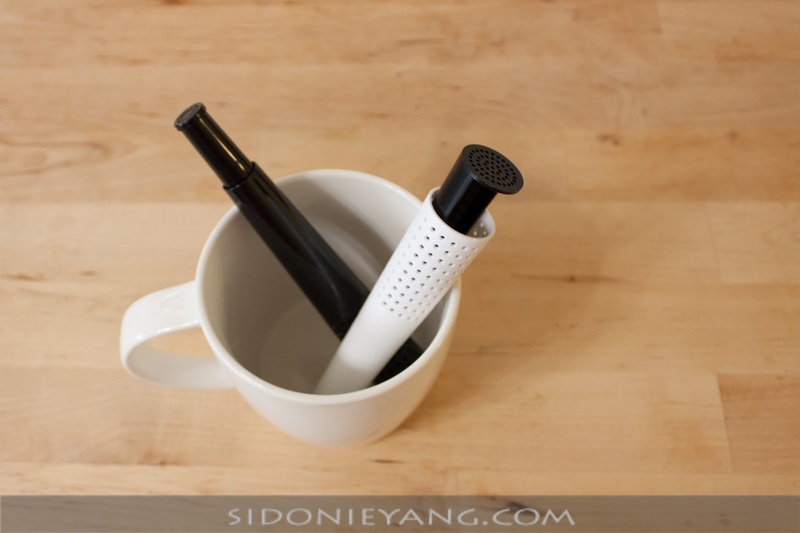 The Tealeidoscope is not only a more beautiful tea infuser, but it has several surprising functions. Firstly, when you push out the button at top, a scoop comes out the bottom, allowing you to directly scoop tea lives into the infuser. Then, you infuse your tea (of course). 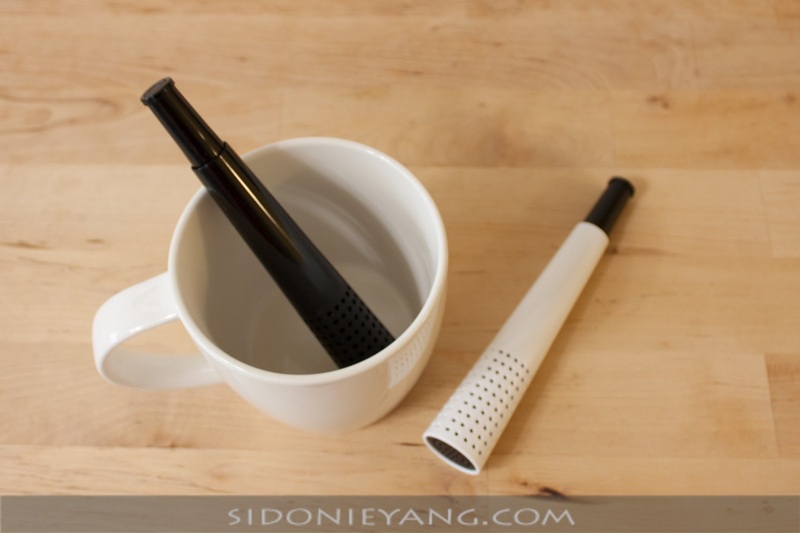 Once you are ready to enjoy your tea, you place the Tealeidoscope onto the cap of the original packaging it came in (smart, eh?) and enjoy... when you're ready to clean up, you simply run the Tealeidoscope under water and keep clicking the button at top. The device will turn, turn, turn and eject the used tea leaves with the help of the running water. All done! Clean as a whistle. So simple, yet so beautiful and easy to use. Is it any wonder that it was the winner of both a Red Dot Design Award and an iF Design Award?